BC Golf Safaris is the leading golf tour operator in British Columbia and The Web Advisors proudly work in partnership with their team on implementing their marketing solutions. 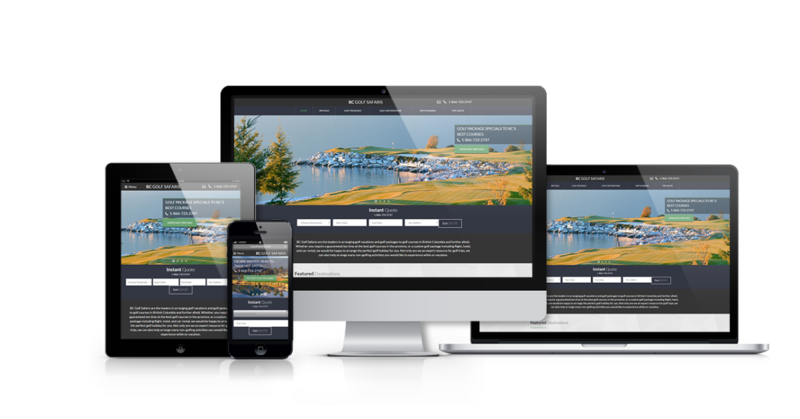 A stunning, responsive website was designed for BC Golf Safaris with the goal to improve Search Engine Result Page positioning and deliver new customer leads for golf vacations quickly and easily. The website integrated seamlessly with BC Golf Safaris 3rd party quote engine. Additionally, we have worked with the team at BC Golf Safaris to develop a new, fully branded email marketing system as well as developed a content marketing contest campaign in which BC Golf Safaris grew their already impressive marketing database by over 200% in year one, with continued efforts planned for the future. © 2019 The Web Advisors.